The straight and narrow drive along the Stuart Highway between Darwin and Katherine is a true reflection of stereotypical Australia. One long, straight, red dust road with speed limits up to 130 km and very little in-between. Along the way before the turnoff to the Litchfield National Park, lays an oasis by the name of Berry Springs roughly an hour southeast of Darwin. The Springs are surrounded by a nature park filled with dipping pools and lagoons with grassed and picnic areas. For many tourists, the hour journey out of Darwin is a short trip to experience native flora and fauna coming together in a relaxing and picturesque environment. Many, spend the day basking in the sun, swimming and relaxing over lunch but it is well worth the ten minutes trip down the road to one of the North’s best farms for all natural, tropical produce. 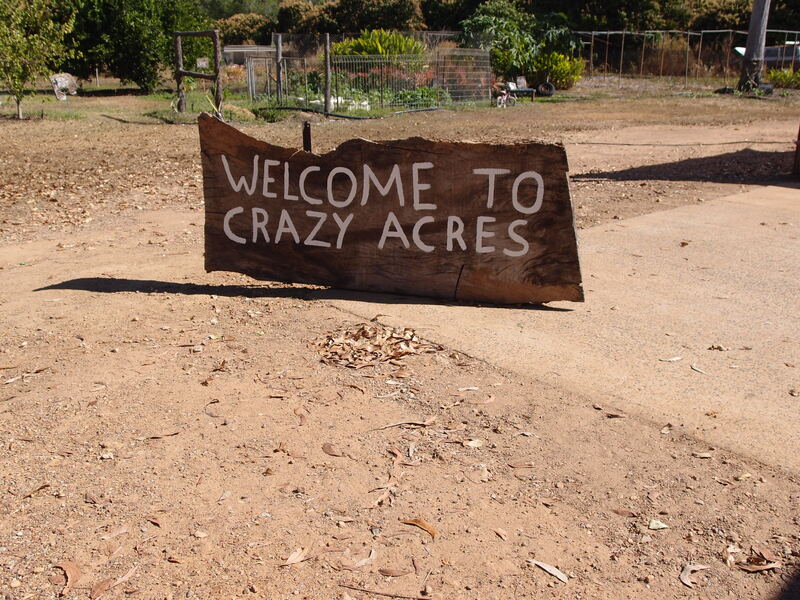 Tucked away off the Stuart Highway lay acres of loved and cared for farmland by the name of Crazy Acres. Karen Dean and her husband John are the devoted duo that runs Crazy Acres, a 25-acre mango farm near Berry Springs. 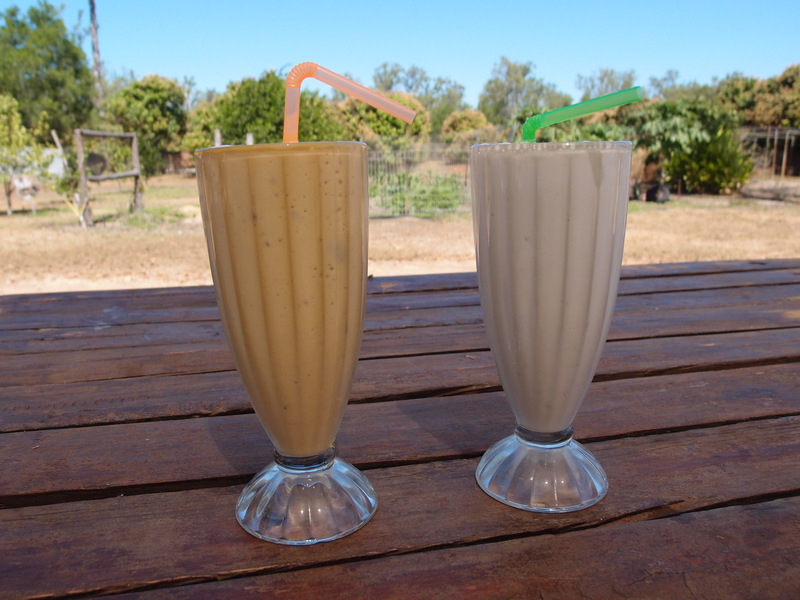 The couple purchased the farm in 2008 after a former life in Western Australia, just before the arrival of their first of two sons. With a history in the international restaurant scene and a love of country life, Karen and John knew it was just the place to settle with their family. Growing a range of tropical fruits from Kensington Pride and Nan Doc Mai mangos to melons, lemons and limes plus a variety of South East Asian fruits and vegetables such as dragon fruit and greens, the farm itself is as much worth a visit as eating the produce. During the day, Karen runs the on site farm shop for visitors and passerby at extremely affordable prices, offering an array of seasonal sandwiches, cheese platters, salads and of course smoothies and ice cream, all made on site with home grown ingredients and strictly no preservatives. To help out, Karen has a few staff members, mostly backpackers that assist in the store during the busy patches but also double as much needed nannies for the boys. If she is lucky enough to get some down time, Karen slips out the back to the preparation area which started out with just one hand held ice-cream mixer and now includes much bigger machinery and a cooling bench, perfect for making ice-cream. With an increased demand from local suppliers, Karen makes ice-cream whenever she gets the chance, often staying up late into the night after a mandatory family dinner back at the house. Crazy Acres distribute to the Deckchair Cinema in Darwin and Parap Fine Foods with more outlets soon to join and appear to be increasing their orders by the day. John and Karen hope to invest in a cooling vehicle during the wet season ahead to help with the delivery of these growing orders. Above everything else, there is farming to be done which from time to time proves somewhat difficult considering John commutes into town during the week for work. With their two boys in toe Karen and John raise the stakes in quality farming and produce illustrating the high standard they place on themselves and their commitment to the top end and hard work. 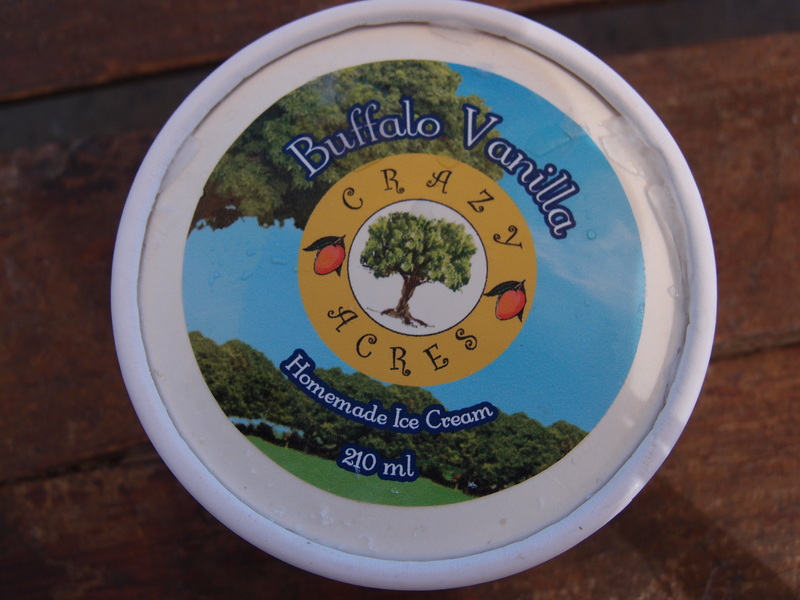 Crazy Acres is closed to the public during the wet season (September – May) but still produces an array of products from their famous ice cream to homemade preserves and frozen mango products, which are available at the Cinema and Parap Fine Foods. 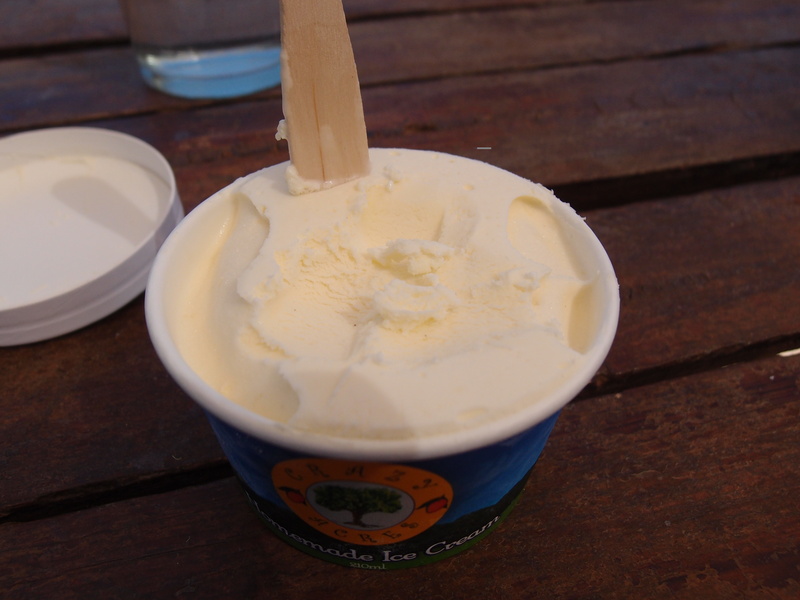 The ice-cream flavours include; banana, mango, buffalo vanilla, chocolate, passionfruit and honey with more on the way and with the addition of the occasional ice-cream cake for special occasions, there is no doubt there is much more to come from this wonderfully happy place.